Italian automaker, Piaggio is now fully set to launch the Aprilia SR 150 scooter in India in the month of August 2016. 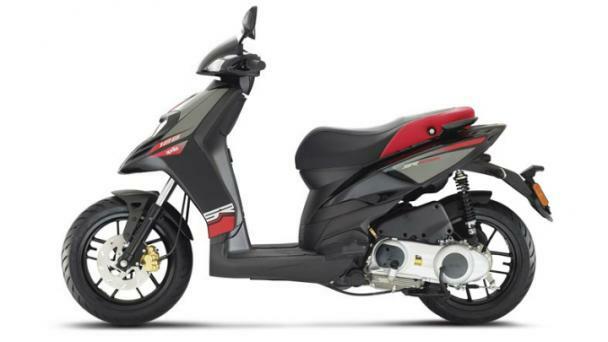 The all new Aprilia SR150 scooter is currently receiving all the required clearances from different automotive authorities. When the new Aprilia SR150 is launched, it will be priced slightly above the Piaggio Vespa. The expected price of new Aprilia SR150 should be somewhere around INR 1 lakh. The all new Aprilia SR 150 will be manufactured at Piaggio’s plant in Baramati at Pune. The all new Aprilia SR 150 would share engine and components with the Vespa 150; The Piaggio has revealed that the new Aprilia model will be having an upper hand when compared to Vespa 150. The company also revealed that the engine will be retuned for the SR 150 and it is going to be more peppier and faster than the Vespa. Piaggio also claims that the Aprilia SR 150 will stand out from other 2 Wheeler models in India. The all new Aprilia SR 150 is a crossover between a scooter and a bike and would be creating a segment of its own. We will have to wait and watch how many would find this new model interesting and buy it. Piaggio’s existing Vespa 150 although has got a great character and appeal is not doing so well when it comes to sales performance – the obvious reason being – more expensive products would attract less number of people in India. Piaggio’s decision to be in the scooter game in India by introducing such models is appreciable. Even the Vespa GTS 300 and 946 Armani is expected to change scenario in scooter segment later this year.